Barro Group are the leading independent, privately owned aggregates and concrete manufacturing company in Australia. 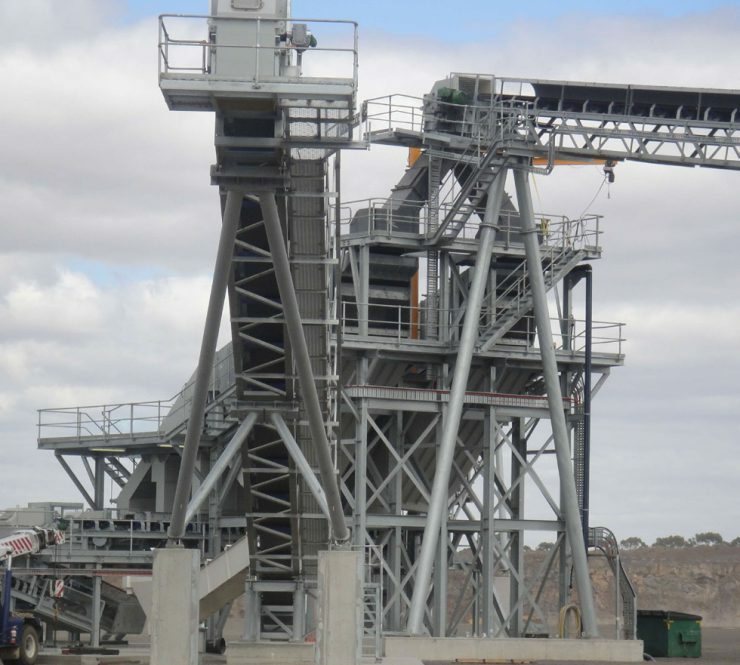 Their quarry at Wyndhamvale, 35km south west of Melbourne had been crushing aggregates using mobile equipment. 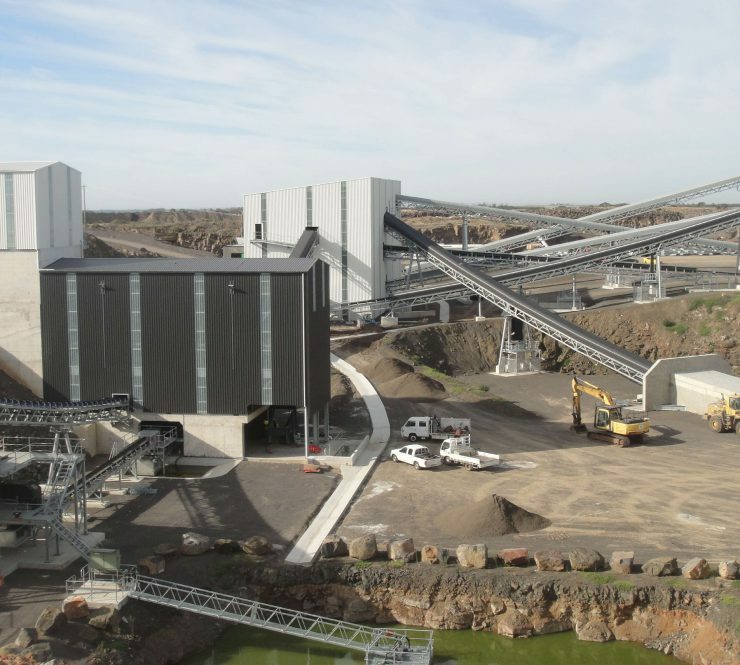 Due to significant local growth in the Wyndhamvale area, the existing operation was identified as being unable to meet the increasing demand for aggregates. To meet this demand, Barro decided to build a new fixed plant, in the existing quarry. 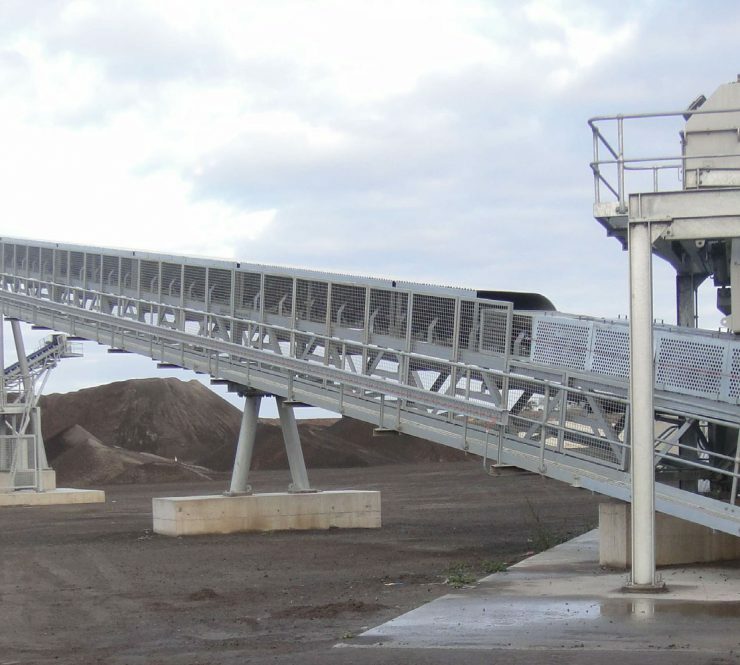 Brighwater was contracted to design, fabricate, construct and commission a new green field plant capable of delivering 600 tonnes per hour of either blended or washed aggregates. Additionally, Brightwater was challenged to design a plant that could be fully relocated if required. Over 1200 tonnes, approximately 80% of the steelwork in the project was fabricated at Brightwater’s Nelson and Greymouth workshops. In total, 55,000 fabrication man-hours produced over 1200 tonnes of structural steel and included 41 conveyors with a combined length of 1.6 kilometres. The plant is designed to be readily movable, with bolted rather than welded assemblies. This allowed Barro to have the plant dismantled in the future for relocation and reconstruction elsewhere. Common design components meant the conveyors and structures assembly phase was extremely efficient, resulting in only minor adjustments being required to belts and chutes during commissioning.